This is the quote I live by every day. Hi my name is Zaniya Lewis I am proud to call myself a Kindraiser. This summer, I was chosen 1 out of 3 student athletes in the United States of America to go on a community service trip to South Africa with the NBPA and NBA. To qualify for this amazing trip you had to make an impact in your community. I am the president of the NJ National Guard Teen Panel; we raise awareness of what it is like to be a military kid. I help organized programs, camps, and trips for our military kids. I am also a member of the Ronald McDonald House Teen Advisory Council; we raised awareness and fund-raise for the house. While being involved in a lot of community service I did not expect to receive anything for it. When I was chosen for this community service trip to South Africa I was thrilled because my mission is to help as many people that I can. On the trip, I volunteered at the Basketball Without Borders Camp every day. I was able to coach the kids and teach them the importance of teamwork and dedication. 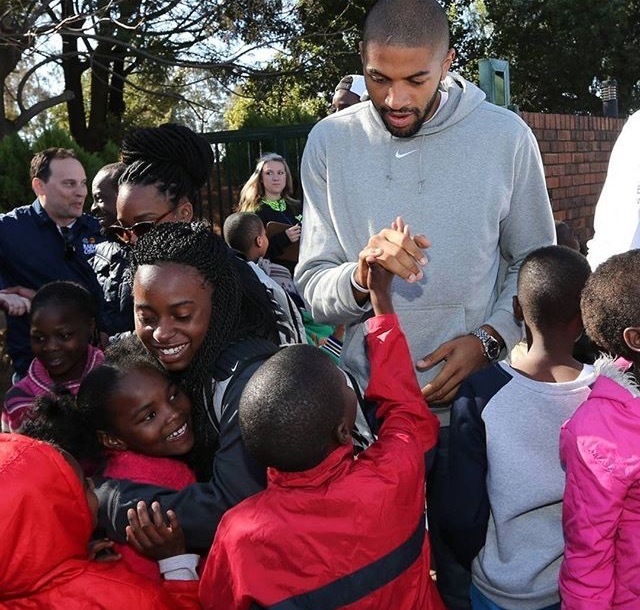 I was also able to visit the Boys and Girls Club of South Africa where I was able to dance and have fun with the children in South Africa. 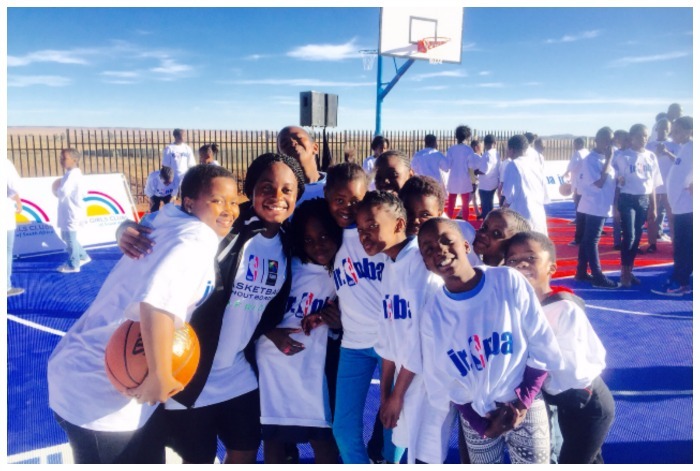 With the Boys and Girls Club of South Africa where we held a basketball clinic. Lastly, I went to the SOS village were about 100 kids did not have any parents. When we arrived to the village, all you could hear were the screams of 100 kids excited that we came to see them. As I walked into the village, the kids started to grab my hand and jump on me with excitement. I was able to talk to some of the kids at the SOS Village, I talked to them about their dreams. All of the kids had dreams just like us; they wanted to be doctors, teachers, nurses, and more. I told them that they can accomplish anything, to not let anyone tell them they can’t. With the kids from the SOS Village and NBA player, Nicholas Batum of the Charlotte Hornets. As I look back on my trip to South Africa I learned so many valuable lessons. I learned that the kids of South Africa have the same dreams as American kids. I learned that you can really changed someone life by giving them advice. I learned that if you have a dream, you can really accomplish it. All you have to do is work hard at it each and every day. If you are looking for community service project to be involve in check online there are so many opportunities. If you want to be creative then make your own and make your mark. The trip to South Africa inspired and motivated me to keep changing the world. I know if we all come together, we can make the world a better place. 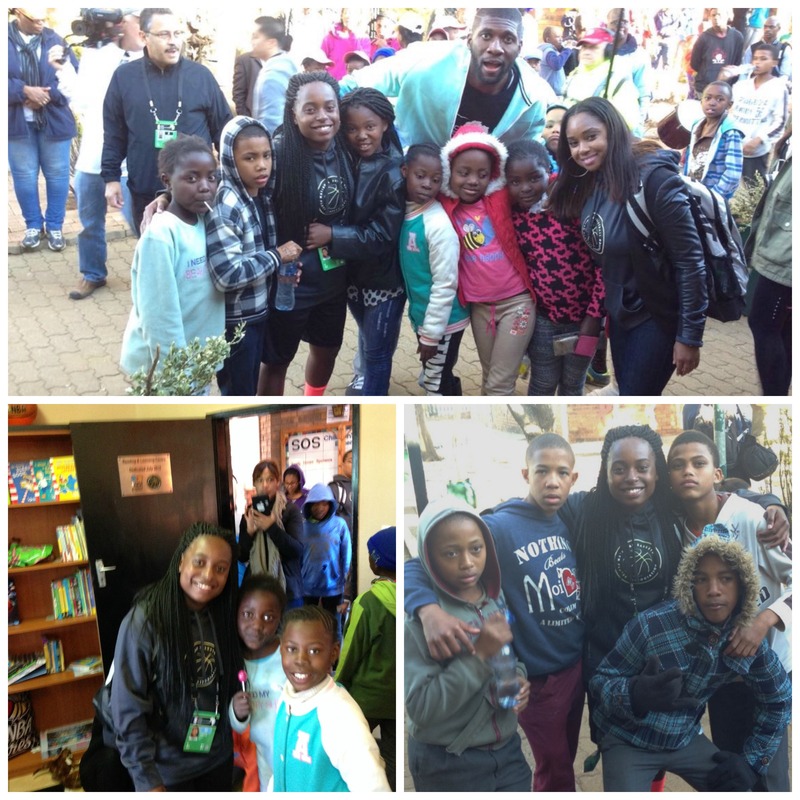 Top: Kids at the SOS Village and NBA player Festus Ezeli. Bottom Left: The NBA opened a new basketball court and library for the kids; Bottom Right: With kids at SOS Village. Zaniya Lewis , is a senior in high school. 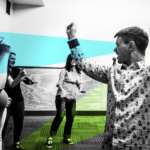 I am the co-founder of The Kindness Project. She is President of the NJ Guard Teen Panel and member of the Ronald McDonald House Teen Council. Her mission is to change the world and inspire others to do the same. You can follow Zaniya on Twitter @niya_144 and on Instagram @niya112. She also has a blog NiyaLewisInspireOthers.